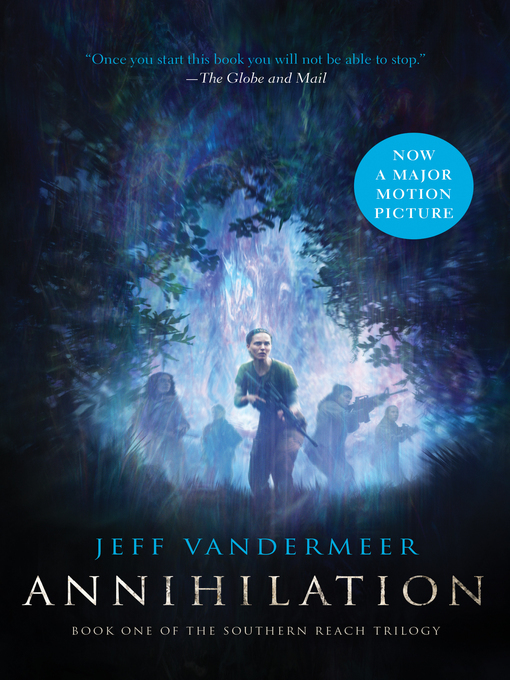 The item Annihilation : Southern Reach Trilogy, Book 1., Jeff Vandermeer, (electronic resource) represents a specific, individual, material embodiment of a distinct intellectual or artistic creation found in Okanagan Regional Library. Area X has been cut off from the rest of the continent for decades. Nature has reclaimed the last vestiges of human civilization, and the government is involved in sending secret missions to explore Area X. The first expedition returned with reports of a pristine, Edenic landscape; all the members of the second expedition committed suicide; the third expedition died in a hail of gunfire as its members turned on one another; the members of the eleventh expedition returned as shadows of their former selves, and within months of their return, all had died of aggressive cancer.Annihilation opens with the twelfth expedition. The group is composed of four women, including our narrator, a biologist. Their mission is to map the terrain and collect specimens; to record all of their observations, scientific and otherwise; and, above all, to avoid succumbing to the unpredictable effects of Area X itself.What they discover shocks them: first, a massive topographic anomaly that does not appear on any map; and second, life forms beyond anything they're equipped to understand. But it's the surprises that came across the border with them that change everything--the secrets of the expedition members themselves, including our narrator. What do they really know about Area X--and each other? Annihilation : Southern Reach Trilogy, Book 1. Southern Reach Trilogy, Book 1.